Mrs. Johnson sends a $30.00 check to the Berry Schools on behalf of the Jefferson Davis Chapter, United Daughters of the Confederacy. 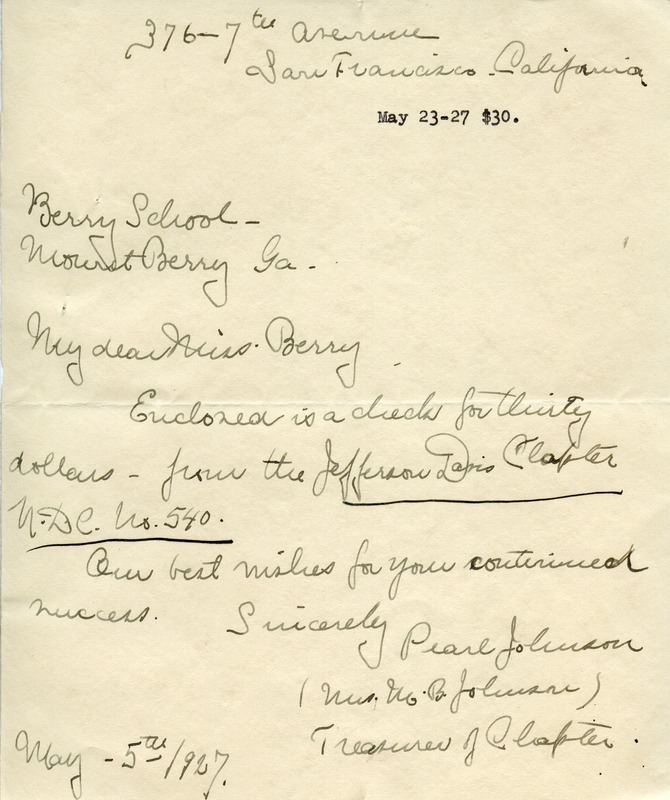 Pearl Johnson, “Letter to Martha Berry from Pearl Johnson.” Martha Berry Digital Archive. Eds. Schlitz, Stephanie A., Sherre Harrington, Kelli Kramer, et al. Mount Berry: Berry College, 2012. accessed April 24, 2019, https://mbda.berry.edu/items/show/5964.